Why are we creating an Applique? We are creating an applique to use fibers and threads to tell a story and perspective. Thus far in the course, we learned about manipulation of fibers and threads for creation of things. This final work allows us to showcase these gained skills while conveying a message to the viewers. Goals of the Assignment: Create a well composed narrative applique that uses fibers to render the image. Students will be inspired by the work of Faith Ringgold to design and create an applique which tells a story of their choice. 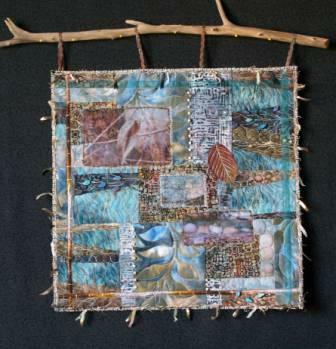 Students will choose fabrics, threads and embellishments to create variety within the work. The design should include a center of interest with lines of movement guiding the viewer’s eyes toward the emphasis, balancing the overall composition.